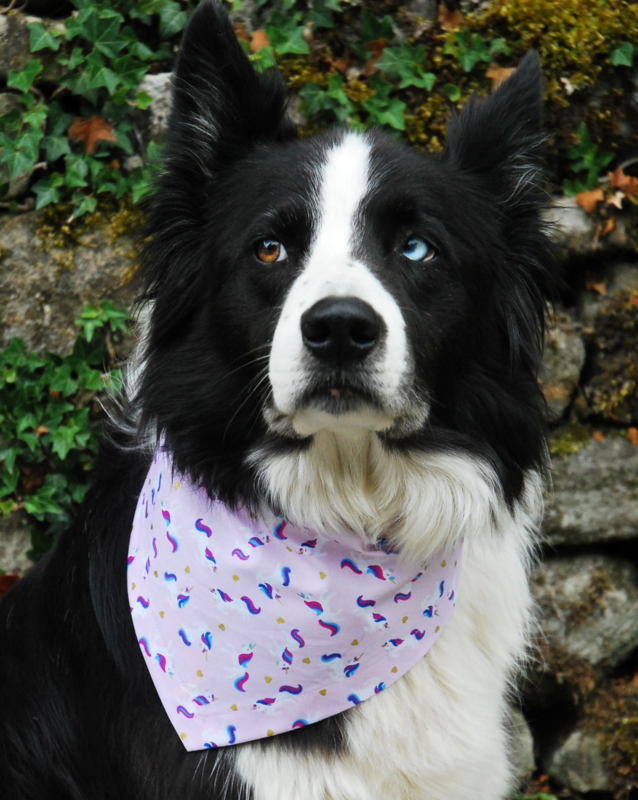 A beautiful Unicorn dog bandana from our new Super-Premium range of Magical and Mystical designs. 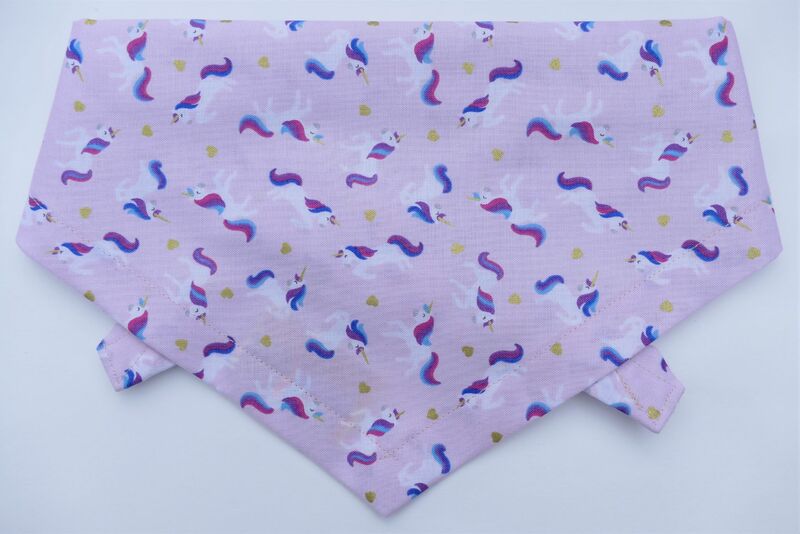 The design has little Unicorns on a pretty pale pink background. 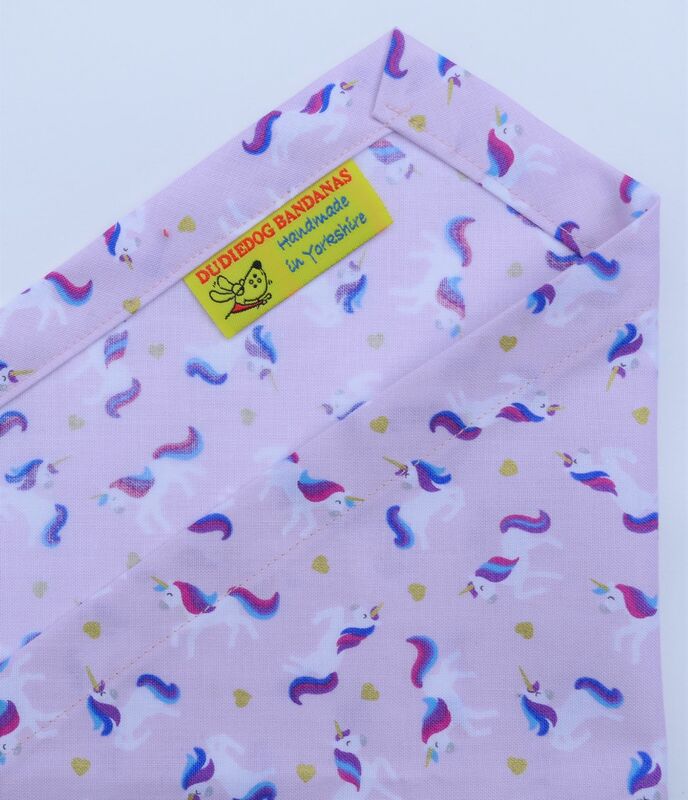 There is gold embellishment on the Unicorn's horns, and little gold hearts too. This is SO pretty!